THE MOST DIE-HARD HONDA CAMP ON THE WEST COAST!!! Since our inception in 99', Inline Four has become the West Coast's premier Acura and Honda performance facility. Our new facility is well equipped with top of the line equipment so we can facilitate your needs efficiently and effectively. Our in-house Dynapack dynomometer allows us to perform vehicle pre-race testing and diagnostics, simulating realtime racing load characteristics. We also have a retail storefront where you can purchase everything found on our online store, in person. As always, our knowledgeable and friendly sales staff is aimed at helping you find the right part for your vehicle, the first time. 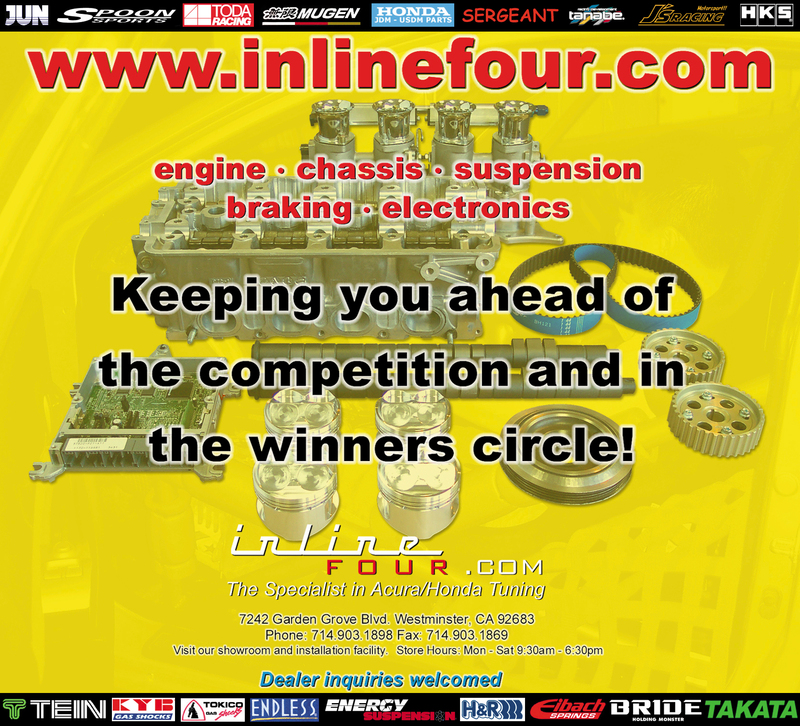 Our online webstore, inlinefour.com is not your typical "auto botique" type of website. Our website is a direct extension of Inline Four, run by the same knowledgeable staff. Unlike other websites, we sell what we use. We can actually make reccomendations or suggestions that will put you on the right path. Knowing this, you can be confident that we are not trying to "just sell you a part". We take pride in the ability to educate our customers. If we can better educate you, our clients, then you will become a smarter and happier customer, knowing more about our products and services that we can provide to you. Take a look around our website and see the many high-quality products and technical services that we provide. We offer products from all aspects of the vehicle. From interior trim pieces and accessories to exterior door visors and wheels and tires. From B-series, D-Series, H-series to K-series and F-series engines. Transmission components such as LSD, final drives and close-ratio gear sets. 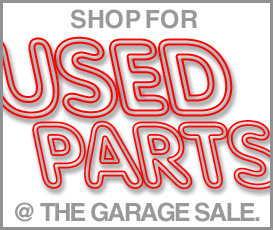 Even spark plugs, oil and genuine OEM parts. We have what you need, why shop anywhere else? Welcome to inlinefour.com..."Passion With Perfection Since 1999!" Can't find a certain product on our site?? Inquire within and we'll get it for you!